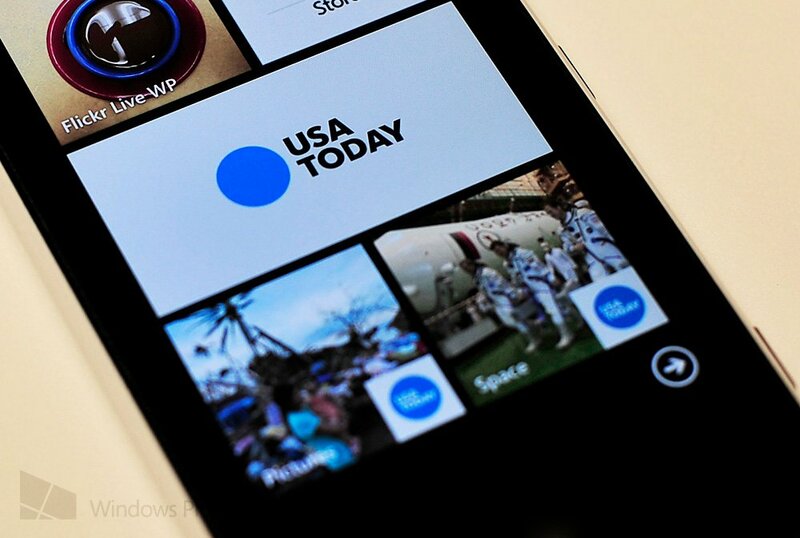 In case you’re a news junkie, you’ll want to take a look at version 1.9 of the official USA Today app for Windows Phone. The app just landed on the Store and it too is ready for Windows Phone 8. The bad news is Windows Phone 7 users are now left without an app. USA Today have always had a pretty great Windows Phone experience and version 1.9 for Windows Phone 8 is no different. The app has seemingly been re-written and boy, is it fast as lightning. The app is exceptionally minimalist now and loads in about 1.5 seconds on a fresh start—that’s pretty amazing. Likewise, stories themselves have no “chrome”—just straight up, easy to read text and the main photo in HD. At the bottom you can find a simple Share button. The app also has its regular sections—sports, life, money, tech, travel and pinnable photo areas (sports, celebs, space, etc.). You also still get some local weather (provided by Accuweather), which is a nice touch. There’s not too much else to say about USA Today: it’s super fast and clean, just how we like our apps. Sure, there’s no lockscreen support just yet or notifications for breaking news, but considering the lack of ads and the excellent overall design, we’re not complaining. Of note is that the Windows Phone 7 version has gone missing now too. We’re not sure exactly why that happens but there’s a good chance that an update will bring it back. So best bet is don’t uninstall the previous version if you have it. 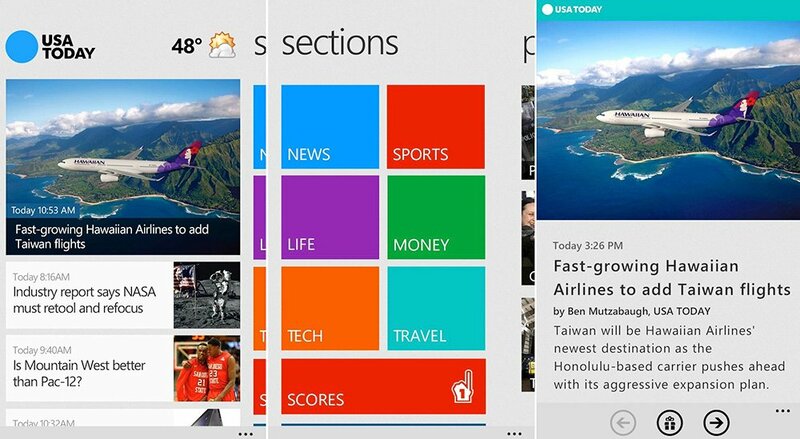 Windows Phone 8 users can go and download the app from the Store right here. Thanks, Bryan C., for the tip!